This huge building built in 1955 by Gustavo Botet has a cinema, offices, a café and a bar. 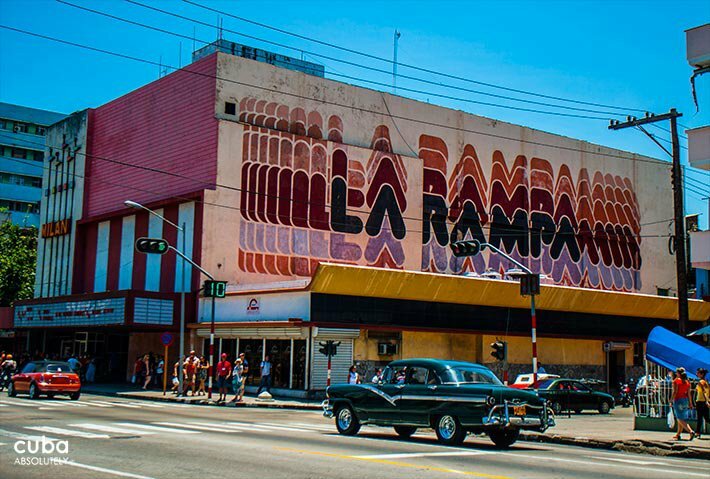 Located on a stretch of Calle 23 known as La Rampa, the theatre of the same name has a winding access ramp at the entrance that seems to be a continuation of that busy Havana street. It seats 900. Certainly one of the better Havana cinemas, it has plenty of spaces inside for socializing before and after the screenings. This location also houses the Cuban film archives.